Alice is responsible for controlling around 25 system DMA channels and addressing Chip RAM. Infact, Chip Memory is so called because it's addressable by the system's custom chips, unlike Fast Memory. 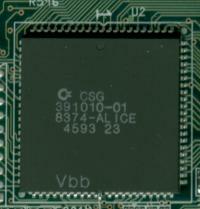 Alice also cotains an integrated Copper (co-processor) which controls aspects of the Amiga's display such as draggable screens, and the infamous "copper scrolls". The Amiga's blitter is also located in the Agnus chip and is responsible for moving rectangular areas of memory efficiently as possible. This may not sound particularly spectacular but the blitter is up to twice as fast as the processor at moving blocks of memory and is capable of doing it asynchronously with the processor, meaning the processor is totally free for other operations. The blitter is particularly useful for graphics operations. 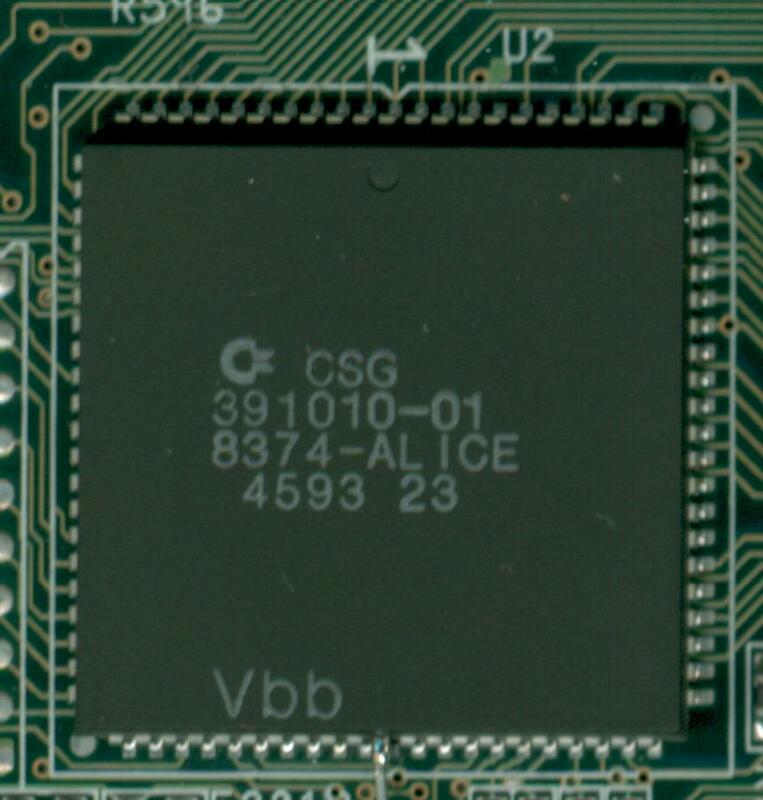 Alice is found in the AGA chipset, and is equivalent to Agnus found in the OCS and ECS chipsets.